I love Halloween and if you could see my home, you’ll see how true this is. You see, the props in the pictures are nothing I bought specially for this post, they are actually items currently displayed and that are currently being used in my home (like the scorpion glass below). 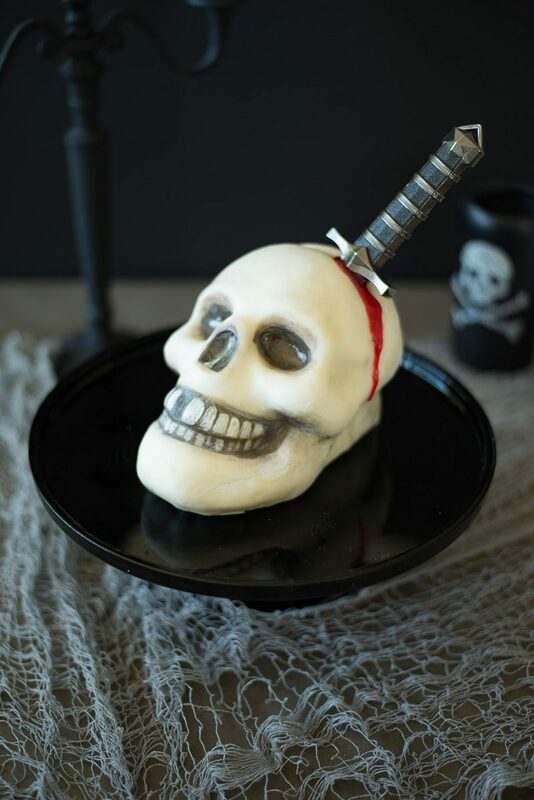 If this Halloween Scorpion Venom Punch is not scary enough for you, check out my frightening Halloween skull and dagger cake, it is a fun Halloween party centerpiece and have everyone talking. The vodka in this Halloween Punch is optional. This way you can make one pitcher for the adults and another for the kids so they wont feel like they’re missing out. 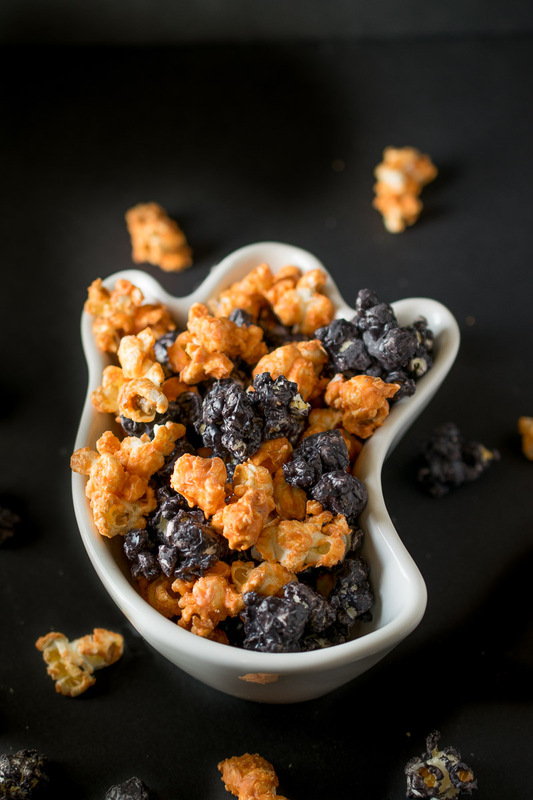 If you’ve been a long time reader, you’ll be familiar with the brownie graveyard I made a few years ago and the Halloween popcorn which would be a perfect snack to serve with this punch. If you want other drink options, I have a blood orange martini and a Halloween spooky screwdriver. Halloween has become a great holiday to decorate with and have fun and the items that are available in the stores are cooler than ever. 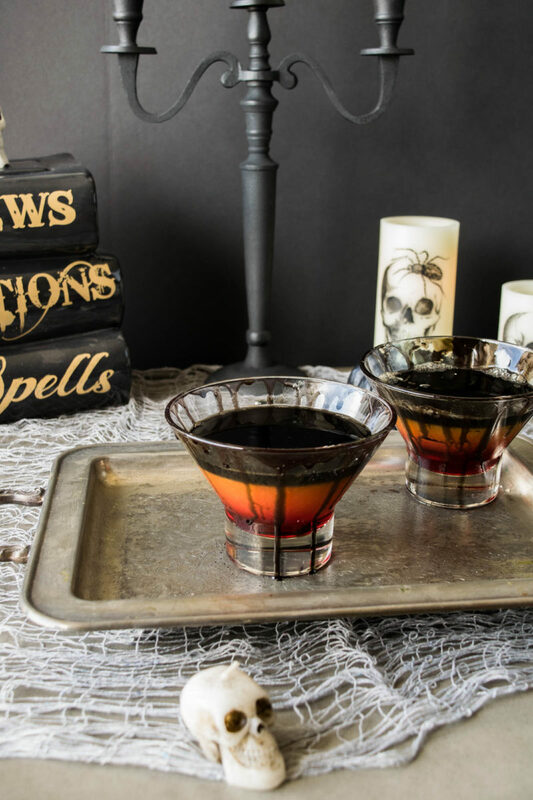 The focus of this Halloween scorpion venom punch is not some much the drink itself, even though it is delicious in its simplicity, its all about the look. The look of scorpion venom for a creepy Halloween drink. I don’t know what color scorpion venom is, and I don’t ever want to, but bright yellow looks good to me. You could also use green jello for a green Halloween punch. The laboratory beakers are a fun a spooky way to serve the drink and they have a great selection at Michael’s art supply and craft store. The scorpion skeleton is something we bought last year and the skull vodka bottle is on display all year round on our bar (among our other decanters). 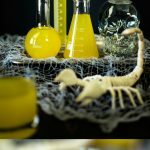 If you’ve tried this Halloween Scorpion Venom Punch or any other recipe on the blog then don’t forget to rate the recipe and let me know how you got on in the comments below. I love to hear from my readers! You can also FOLLOW ME on FACEBOOK, TWITTER, INSTAGRAM and PINTEREST to see daily recipe updates. Lemon jello adds a bright hue to this drink along with pineapple juice and optional vodka make this drink perfect for adults and children that will put the 'sting' into your Halloween party. To a large jug or container, add the jello mix. Pour in 1 cup boiling water, stir until the jello dissolves. Add 1 cup cold water and mix. Add the pineapple juice and chill. Add the vodka and serve. What flavor is the lemon Jello mix? Thank you! It is lemon flavored. Thanks for stopping by. This drink is perfect for my husband’s birthday party he is a Scorpio! I would love to make this how much does this make? We are having about 25 – 30 guest and wanted to make this his signature drink. Hi Latora, It’s a great idea that you are serving this drink for your husbands birthday. The recipe serves 4 people, times the measurements by 7 and you will be able to serve 28 people 1 drink each. I hope this helps and I hope he loves it. Can this cocktail premade or does it have to be served right away? Thanks!